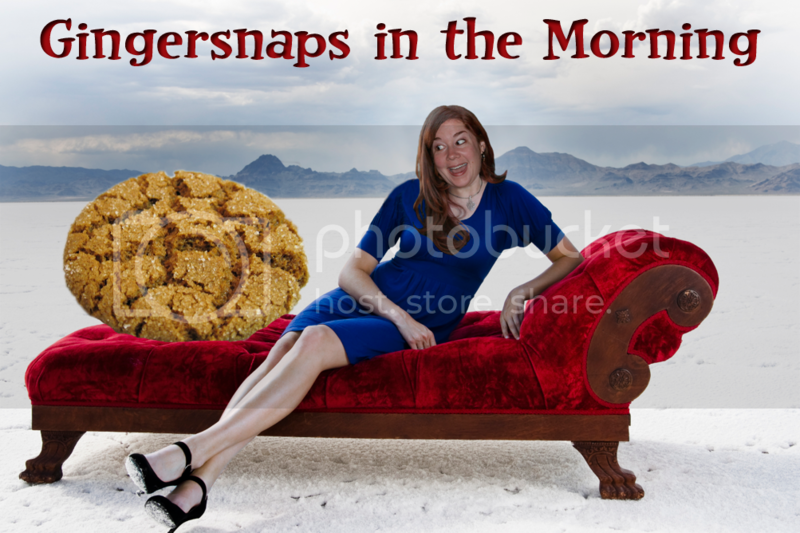 Gingersnaps In The Morning: Special Delivery! 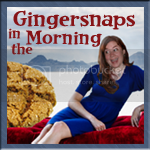 Wilty Wednesday to you all, my little gingersnaps. I had a 2 day migraine-streak, so if you'll excuse the Monday/Tuesday absence from the blog, I'd appreciate it. I'm trying to combat a 3rd day with red wine. So far it's helping, but if my words stop making sense, just know that I'm feeling good. 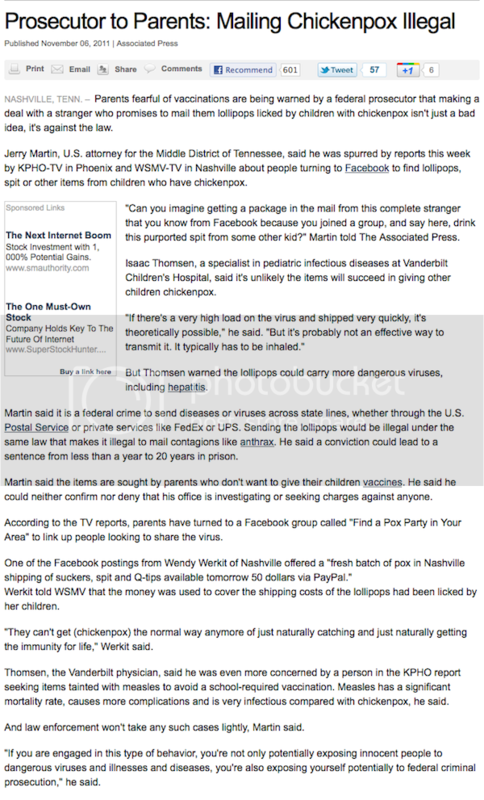 In the news, Prosecutors want parents to know it's a crime to ship Chicken Pox via licked lollipops in the mail to each other. Yes, that's right. If parents are that desperate for their kids to get chicken pox, why not just get the vaccine? Or you can do what my parents did... send me over to spend the night with my friend who had the chicken pox. They never saw actual pox on me later, but assumed I must have had a minor case and at the very least was exposed, which meant I was protected in the future. Right? RIGHT? WRONG. Fast forward to my 29th year of life where I got full blown chicken pox and wanted to die. But let's not talk about me... let's talk about the idiot parents who would rather have their children lick a used lollipop sent by a stranger, that they are told is diseased with chicken pox than give them the vaccine. If only they required a license to procreate. I'm pretty sure these people would have theirs revoked. Ladies and gentlemen, Michelle Duggar is pregnant with baby #20. Many people love to criticize them, but I must say they have more control over their 19 children than I do over my 3. Seriously, does that woman ever raise her voice? *thinks to myself how glad I am that cameras aren't inside my house* They are living debt free and are self-sufficient, and are homeschooling, so I can't even accuse them of using tax payers money. So even though that woman's poor hair is stuck in the 80's, and they might be a little socially awkward, I can't really find any legitimate criticisms against them. So congrats, Duggars on #20. May he/she be healthy. 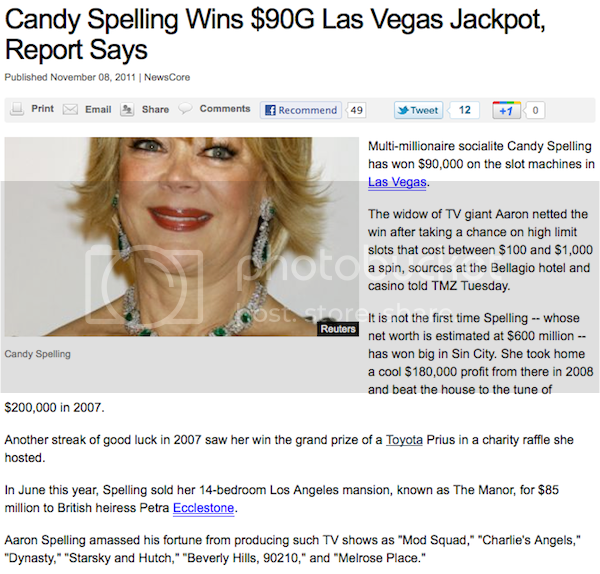 In ridiculous celebrity news, Candy Spelling just won $90,000 in a Las Vegas Jackpot. In 2007 she won a Prius in a charity raffle and also won $200,000 in a casino. Not that with a net worth of $600 million, she really needs it. If she felt like donating her winnings to someone me, I'm sure I could find something to do with it. You know this is probably infuriating her daughter Tori. And now... a dancing Prairie Dog! Today's FAIL. Please, no cooking with Poo. And for today's WIN. I love how she wants to limit the baby wipes to one/per deviant. I've thought about writing a note to the drug addict that periodically hits the cars in our neighborhood. How about... "Jesus is watching you, and so is my video surveillance"? Hey, WTF??!! No sir, I don't want to see your doll collection or anything else you might have that is doll-sized. 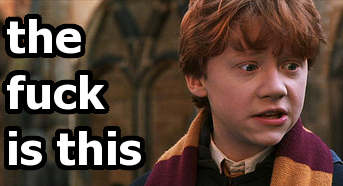 Ron was almost killed by J.K. Rowling in the Harry Potter series! In the lead-up to the release of the last Harry Potter movie on DVD, J.K. Rowling is revealing a slew of details behind her creative process. One of the most interesting tidbit she revealed is that she seriously considered killing off Ron Weasley! She says that she considered killing off Ron "around the middle of the series" when she felt in a dark place. Can you imagine how different the series would have been if Ron had died around the Goblet of Fire, or the Order of the Phoenix? She also revealed she considered killing Hagrid, and that Remus Lupin's death was not planned. Hagrid' she says, got spared because a bookended image of Hagrid carrying a 'dead' Harry, just like Hagrid carrying a baby Harry stuck in her mind throughout the writing of the whole series. Remus Lupin, on the other hand, was killed because she realized that one of the most awful horrors of war is that some children are left without parents. She thought that killing off a set of parents that readers grew fond of would be good at illustrating that point! **ATTENTION** The brand new review blog Mommy Hates Chemicals (co-authored by Jamie and myself) will launch on Monday. Email me to join our blogroll or to suggest a Natural Product for us to review. YAY for mommy hates chemicals!!! "and now for a dancing prairie dog." Ummm...how did you see the creepy dolls in that picture when all that man was wearing was a white T that is 8 sizes too small? Pass the eye bleach, please! Also...SO glad she didn't kill Ron off!! Whew! You are hilarious, oh good lord. That doll-man scared the living daylights out of me. And Mommy Hates Chemicals? I am already addicted based on your profiles alone.